Want to Convert Your Content into Sales? Add Your Name and Email to Get Started Today! *Disclosure - this website contains sponsored links - please see our full disclosure for more info! Sometimes when your creativity is focused on your book it’s hard to come up with content ideas for your author blog. Here are a few tips and ideas to get you started for when you’re having difficulty coming up with content ideas. If you’re an author of children’s books – you don’t want to be posting things on your blog such as how to publish your book, where the best places to market your book are, or where to get a good illustrator. These things may be of interest to you, and most likely are, but they are not things that are interesting to your readers. This is a very common, and frustrating, problem, especially with social media. It’s a mistake you don’t want to make on your author website. Your audience is not other authors unless you have written a book specifically for authors. 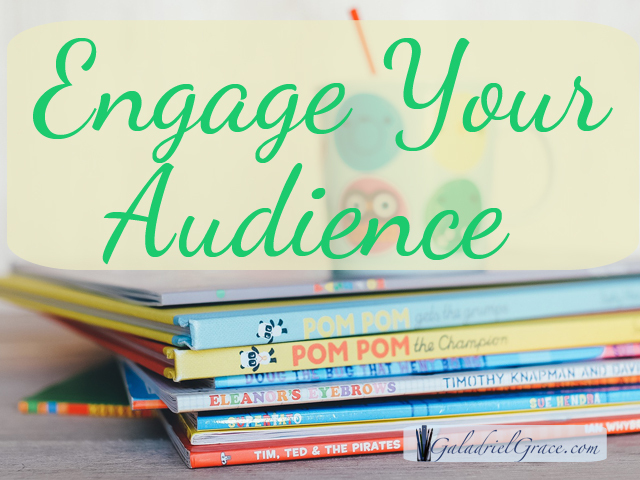 If you’re writing children’s books your audience is the parents of the age group of your genre. They want content that is relevant for their children and you want them to take an interest in your books. First, decide who your audience is by starting simply with your genre, what your book is about, and then break it down from there. For children’s books, your audience is almost always the parents of the age group, not the children themselves. What do they want to read about? What kinds of things do they buy? Do they like the outdoors? What will bring them to your website and make them want to buy your book? Certainly not a post about how to self-publish your book with Amazon and then a link to your book in the sidebar. They want things that are relevant to their lives, and their children. You’ll want to post content that will deepen their relationship with their kids, entertain their children, excite their children – (in a good way), help their children learn and grow, and content that will engage their children in some way. You want to post things that will bring them to your site, engage them, and interest them in your book. For an example: You have a book about a kangaroo geared towards children ages 4-8. What are their interests? Possibly animals, kangaroos, Australia. What do they want to read about? Perhaps things that will help their children learn more about kangaroos and animals of Australia. Maybe a craft on how to make a kangaroo mask, or a post on what kangaroos eat, a video of what kangaroos are like in the wild, etc..
What kinds of things do they buy? At the very least, things of interest to children ages 4-8, perhaps nature related, having to do with Australia, animals, things that help their children further explore nature. Do they like the outdoors? Most likely. Do they like kangaroos? Yes, and most likely other animals of the world, or specifically Australia. What do they like to do for fun? They might enjoy taking their kids on nature hikes, science discovery and exploration in their backyard, learning about animals. Now you take that content and create a simple customer profile and provide content to them that’s relevant to your book and your audience. This way you build a relationship with them and then when your next book comes out about Koala bears, you can repeat the process, providing more relevant content, gaining more readers and expanding your book sales. There are many creative ideas that you can intertwine to relate to your book that will give you awesome content and bring your readers back for more. You only need to be sure that the content is relevant to the theme of your book, your audience, and genre. Are you having trouble coming up with creative content for your website relevant to your children’s book theme? Send me an email with your questions and I’ll help you in any way that I can! Have a successfully creative day! Do You Need an Author Website? Many authors don’t think they need a website because they think they should rely on social media, book venues such as Amazon, or their publishers. Relying on outside websites doesn’t help you build your audience, even though it may be bringing you some sales. 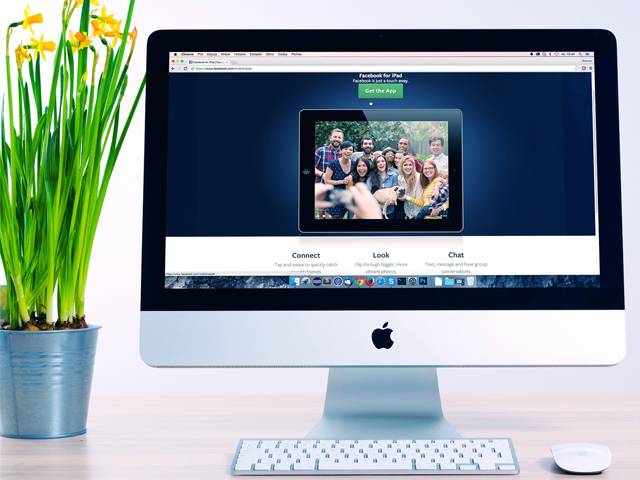 In order to build your own personal audience you need to have your own website. Your author website is your personal space on the internet. You own your author website and it’s where you can engage and interact with your audience. It doesn’t matter if you have published traditionally or you’re an indie publisher, these days you need to be a part of your own book marketing. This gives your audience a place to find you, relate to you, and form a more trusting relationship with you, all of which increase their loyalty to you, and increases your sales. Using social media platforms to advertise your book is great, but when you engage your audience on your own platform, you’ll see amazing results. As you consistently build your website content, relevant to your audience, you’ll create your own community and there’s nothing that increases sales more than a loyal, growing, community of fans in one place. 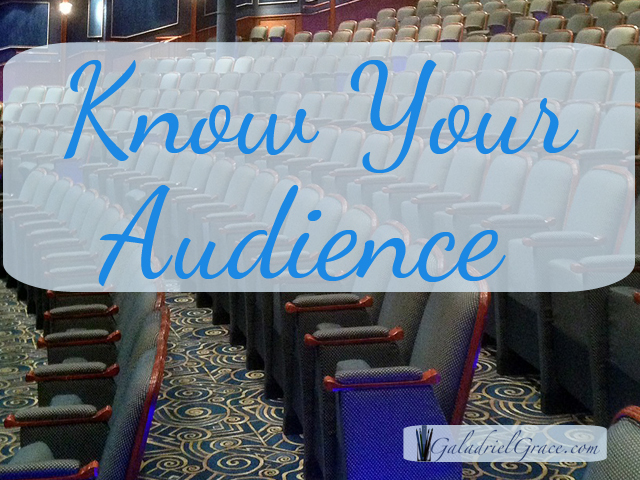 Your entire audience isn’t on Twitter, or Facebook, or any other social media platform. In fact, there may be many would-be fans who won’t see you on any social media platform because they use it very little or not at all. I know it’s hard to imagine these days, but it’s true – not everyone is on social media. But, if you have your own website, you have a base where these people can still engage with you through email and your blog. There are many other things you could add to your author website, depending on your genre, but these are the basics. To read more about website marketing materials for children’s book authors READ HERE. Now, you may look at that and think that maybe you don’t have time or that it’s too complicated, and that couldn’t be further from the truth. Yes, it is work and takes time, but ask yourself whether you want to be a full-time author or not. Is it the career you want? Then decide how much effort you want to put into it. 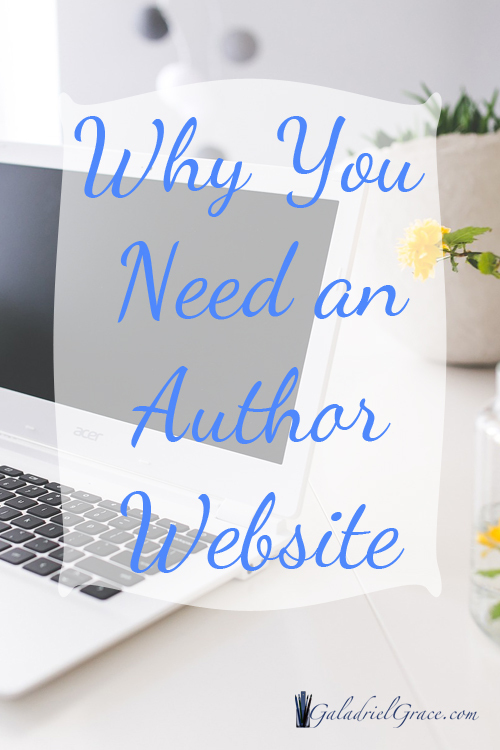 Setting up an author website is super easy and can be up and running in under an hour. That’s it – then you simply add pages from your WordPress administration account, start writing, and adding content. Yes, there are a lot more things you can add later to spruce things up and get your visitors engaged and signed up for your email list, connect your social media accounts and such, but you can read about that more later. As an author you need to have your own author website as a home base where your audience can engage with you and where you can grow an email list of your loyal fans, even if they aren’t on social media. This also makes it easier on you in some ways because then your audience is coming to you more rather than missing your tweets and posts in their social media feeds. If you have any questions at all regarding domains, hosting, WordPress installation, WordPress use, plugins, or anything else regarding this post, please do not hesitate to contact me. I’ll be more than happy to answer any questions you may have! Do You Need an Affiliate Disclosure Statement? 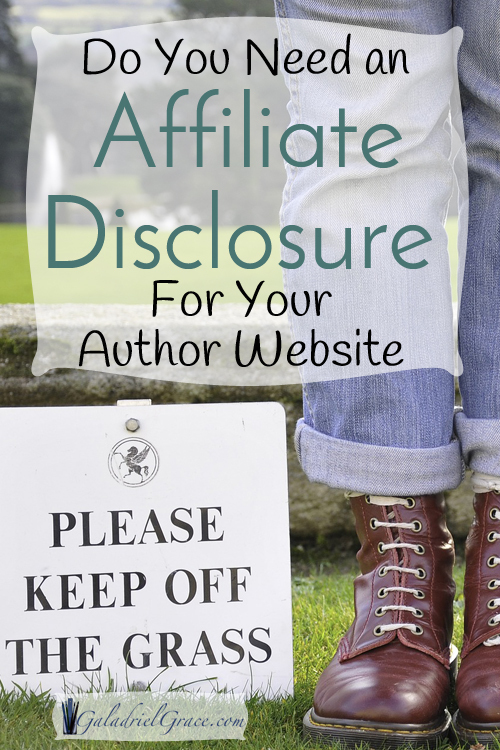 Do You Need an Affiliate Disclosure Statement on Your Website? If you use any kind of links or advertising on your website where you receive monetary income if someone clicks on the link or advertisement, then yes, you absolutely need an affiliate disclosure statement. You also must use a disclosure statement if you receive a free or discounted product in exchange for a review. This includes reviews that you give on Amazon or any other website as well, except it needs to specifically be stated within the review. What is an affiliate disclosure statement? An affiliate disclosure statement is a short statement that says you receive monetary compensation if someone clicks on the links on your website or within your content. It doesn’t matter how many links or advertisements you use, you still have to include the statement near the link. Take a look at the one on the top of my page for an example. I had a colleague once tell me that it looks tacky, and while I couldn’t agree more from a design perspective, but at least I know I’m following the rules, being transparent with my site visitors, and won’t run into any trouble with the FTC. 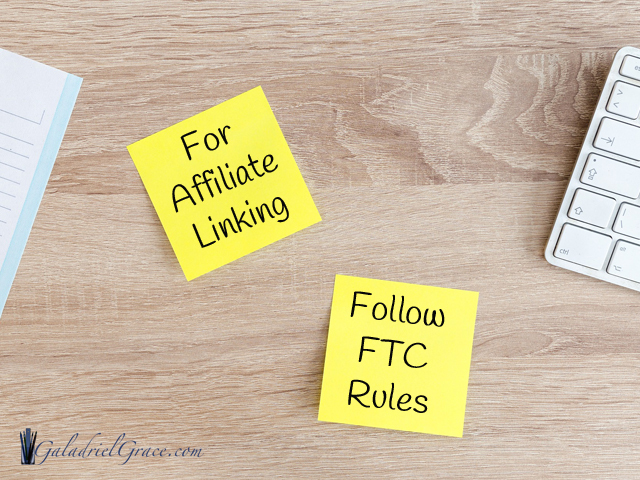 See the full text and download the FTC Affiliate Disclosure PDF Here. The statement I have on the top of my page is considered a blanket statement, in which I also include a link to a more detailed page. This isn’t necessary, but I prefer it since I have such a simple statement on the top of my page. If you only have a few posts where you have an affiliate link then you only have to include the statement on those specific posts. I don’t necessarily have affiliate links within every single post, but there are ads on the sidebar, at the top, and bottom of the pages even if they aren’t within the content. My WordPress themes have extra page widgets so I can have it set so that it just appears on every single page so I don’t have to keep writing it over and over. One thing that’s clear, according to the law, you need an affiliate disclosure statement where your visitors will see it right away. There are some website owners who generate their fortune just from affiliate income and they only put a tiny link at the bottom of their page which is totally wrong and could get them into a lot of trouble. Earning a little extra money, or turning your website into a full-time income, is an easy and perfectly honest means of work. Just be sure that you follow the simple rules that are in place so that you don’t run into difficulties. If you have any questions regarding affiliate link usage on your website, please don’t hesitate to ask, I’m happy to help you in any way I can. As we said in a previous post – Should You Put Affiliate Links On Your Author Website? – it’s not a bad idea to put some well-balanced affiliate links and advertisements to earn extra money with your author website, as long as you don’t overdo it or make it so your visitors are bombarded with ads instead of quality content. There are as many different affiliate programs as there are products for sale online so you want to be sure you are selective and stick with reputable companies who pay you when they say they will. Sometimes it’s ok to go with smaller companies, but it’s better to stick with the well known ones, at least to start with. You may want to keep it simple and just put up some ads from Google Adsense. You can choose to put up just text links or both image and text – which alternate for you. This is one of the easiest things to do where you earn a few cents when your links are clicked on. Be sure to read the rules – you don’t want to lose your account and any accumulated earnings from not doing so. You can sign up for Google Adsense free HERE. 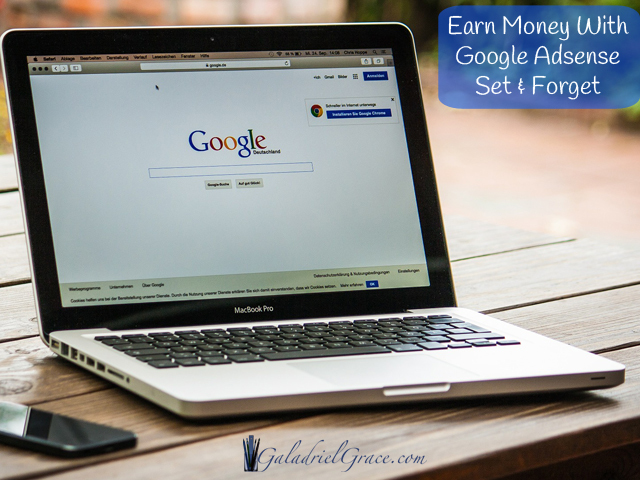 Google Adsense is by far the easiest, set-and-forget way to earn money with your author website, and is one of the most reputable companies out there. 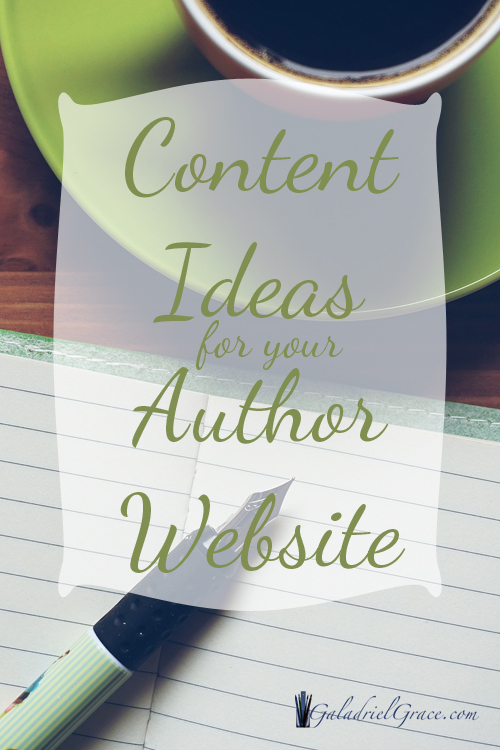 Also, you know you have to add lots of great content to your website and you have an awesome idea to write about one of your favorite books and include it on your website. There’s no reason why you can’t put an affiliate link to Amazon. It doesn’t cost your visitors anything, and it can earn you a couple bucks, while adding content to your website. Just be sure that you balance out your content so that you’re offering your readers as much value as possible and not simply trying to sell random ‘things’ or you’ll definitely turn off your readers and lose them. Sign up as an Amazon Associate free – HERE. If you decide to put up a list of recommendations of other books in your genre for your readers, you may want to use Amazon affiliate widgets for these. This makes it so that even if you’re giving recommendations for other author’s books or products in your genre, you can still earn a little from it while showing readers what other books that are similar to your own. This is great a little marketing tip with added affiliate earnings. Either alternatively, or additionally, you can sign up with an affiliate merchant network, such as CJ or ShareASale. There are quite a few other networks out there, but these are two of the most popular. I have used them both and made decent earnings from both, but I no longer use CJ and only use ShareASale because I like them a lot better. Just my personal preference, but I think ShareASale is a much more user friendly platform, especially since CJ went through some changes a few years ago when they moved away from the Commission Junction name and I no longer prefer to use them. To me it’s like Pepsi and Coke, you always prefer one over the other. Basically, a an affiliate merchant network, which is free to join, gives you access to thousands of other businesses who use them as their affiliate network. It never costs you anything and you just pick businesses within the network who you want to promote, they approve you or not, based on the information you provide, and then you have access to their affiliate links all within a single account. When you earn affiliate income from any/all of your different merchants all of the money is also accumulated into a single account and when you reach the payment threshold you receive a single payment. This makes it super easy and you only have to file a single W9 for the network company instead of one for each merchant. Think of it like Amazon where you can promote any product on their website, except it’s specific businesses, where you can link to their products or services, instead of a single product. You can join as many as you want, each one being approved by the individual business, but just don’t join more that you’re going to actually promote or it isn’t worth it for you or them. Some companies that you currently do business with might already have their own independent affiliate programs as well. Or you might find out that they use a merchant network or that their products are available on Amazon. This is a great way to start out because you’ll be able to write about a company you already know and trust, instead of having random advertisements. To find out if your favorite business has an affiliate program the best thing to do is go to the very bottom of the page and look for a link in the footer. If they have an affiliate program, this is generally the first place to look. Some companies also call them “referral programs” – some do this because they think that the word affiliate sounds negative in some way. Or in some cases they don’t actually offer a monetary payment, but where you accumulate something like points that are worth a discount on their products. Just be sure to check what it is you’ll be earning and read all the fine print before you join. Hopefully that’ll give you a decent start on how to earn money with your author website and also gives you some awesome ideas as well. If you have any questions or need some ideas, feel free to ask – I’m more than happy to help in any way that I can! I hope you have enormous success and a great day! 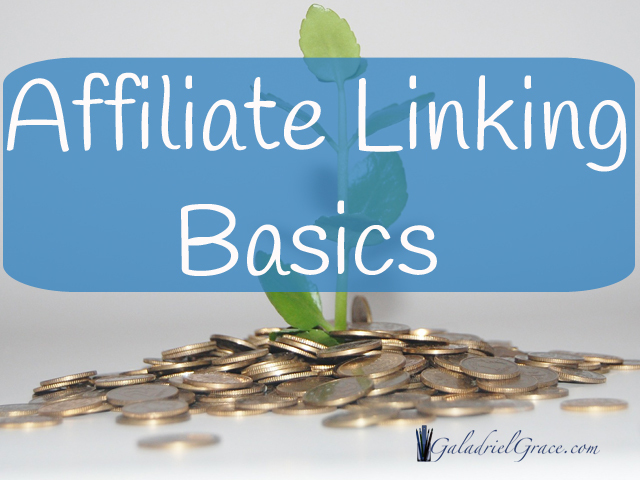 Have you decided to put monetize your website and post some affiliate links but don’t know where to start? This is just a simple list to help you remember some of the basics from earning affiliate income through your website. 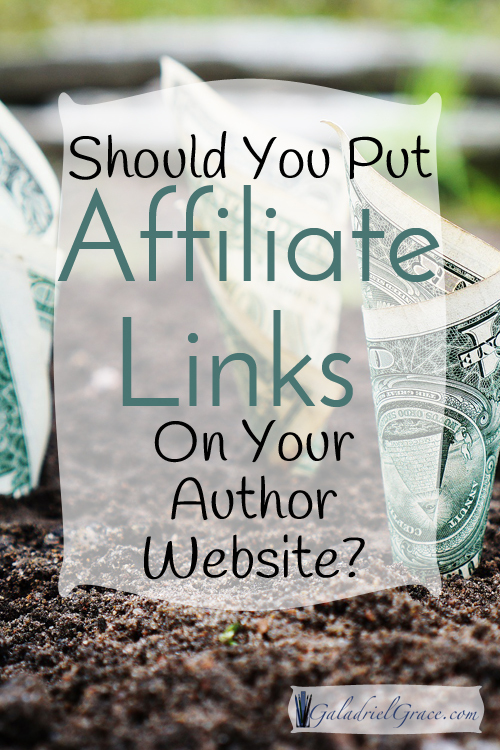 Related: Should You Put Affiliate Links On Your Author Website? Start with just a few products, companies, or services that you believe in. Don’t post ads all over your website to the point where your content is lost and your visitors are annoyed. Stay within your niche or book genre and chooses affiliate products or services that compliment your content, but that doesn’t compete. Don’t over post affiliate links without having content on your website. Make sure you have solid content and a good way to know how balanced to keep it is to follow a basic 80/20 rule with 80% content to 20% affiliate. Follow the disclosure statement rules for the FTC so that you don’t run into legal difficulties. This doesn’t mean you have to have used every single product or service that you want to link to, but you should have some kind of faith in what you link to for your visitors because you need to consider your own reputation as well. e.g. Google Adsense, Amazon, etc. – when your earnings have accumulated to the payment threshold, you want to be sure you receive your commissions and working with well-established companies is a good way to make sure of this. e.g. 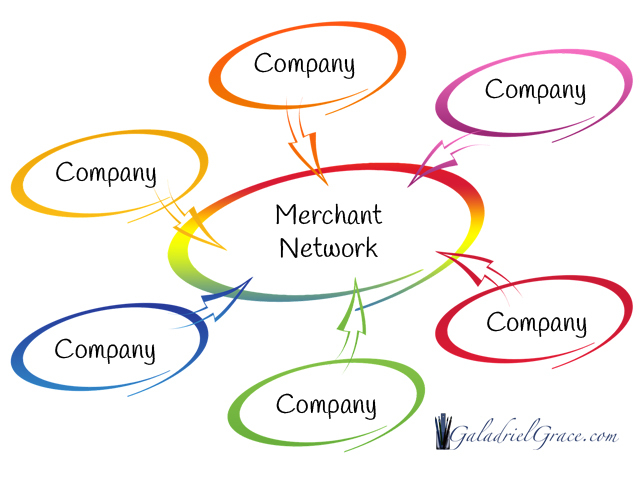 ShareASale, CJ – merchant networks make it easy to find several companies within a single account. This makes it easy because you can get all your links in one place, fill out a single W9 tax form, and receive a single payment for multiple merchants. Any affiliate program that you join should have a W9 tax form for you to fill out. This protects them and you. It’s a very simple form and most can be done online with an electronic signature, or you can print, sign, scan, and return. Most companies will give you one to download and fill out, but if you need a copy – Click Here. Check their website footer – if you do business with a particular company that you absolutely love their products and services you might want to look for a link, usually in the footer, where you can sign up for an affiliate program with them. If you have any questions about earning affiliate income on your author website, please don’t hesitate to ask! 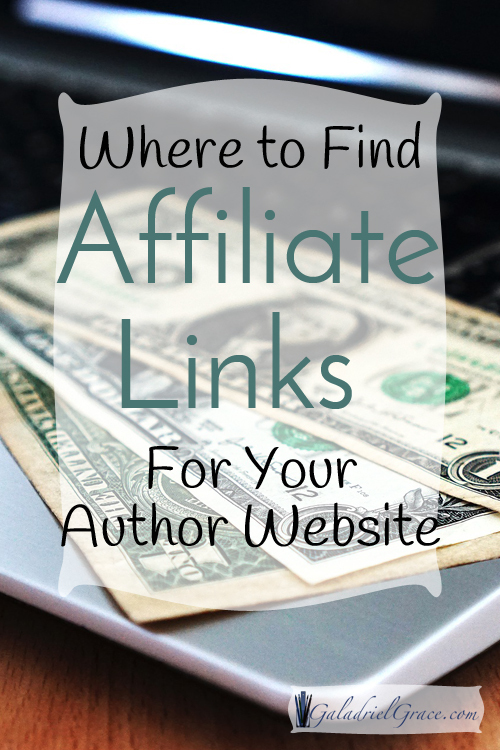 Should You Put Affiliate Links On Your Author Website? This is a common question for authors and it doesn’t really have a specific answer. But, if you’re an author asking this question, you’ve come to the right place to find out if you should put affiliate links on your author website. First of all, if you have a website – it’s good to make money from it, even if it’s just enough to cover the costs of hosting, domain renewals, email services, self-publishing your book, etc.. But, of course, you might be worried about turning away your readers with a bunch of bothersome ads. Don’t worry, it’s not something you need to over concern yourself about if you do it right. 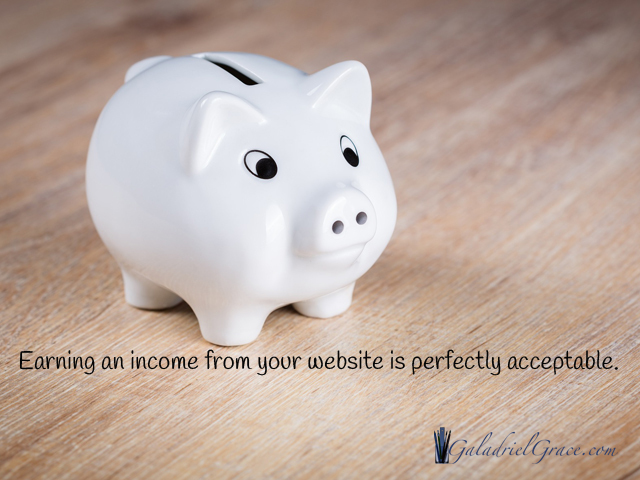 Earning an income from your website is a perfectly honest form of work. The best way to still make a little extra money, make your readers happy and still sell your books is to be very selective about what kinds of ads or links you put on your website and how many. Obviously, if all your visitors see when they come to your site is a bunch of ads in their face they’ll most likely leave right away. I know I do because sites that are overloaded with advertisements generally don’t have any worthwhile content anyway and can’t help me with whatever I was looking for in the first place. The first question to ask yourself when you put up an advertisement or link is: How is this going to benefit my readers? If you can answer that in a positive way, then you’ve struck gold, if not, find something else. 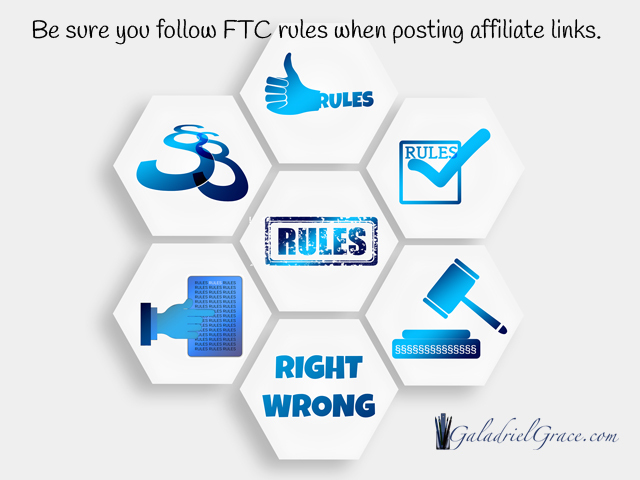 The one thing you have to be sure of is that you use an affiliate disclosure statement – which is very simple, and it has to be near the link, according to the FTC rules of conduct. This is usually not a problem to your visitors or anyone else. You also don’t want to have your readers going for your ads instead of your books, so how can you make a little extra, still sell your books, and not put your readers off? It’s all a question of balance – no, we’re not talking about the Moody Blues. You simply don’t want to have your website so completely filled with promotions that your readers don’t even know what you have to offer them, but having a few reviews of things that are related to your genre are a great way to earn a little extra. Just don’t plaster your website with too many ads on the sidebars, and on every single page so that readers don’t know what they should be clicking on. And keep ads to a minimum on your pages where you’re talking about your book and yourself. Keep your website personal, but opt in for a few ads here and there – like salt, sprinkled lightly just to bring out the flavor and add value, and don’t over do it and you’ll be fine. If you have any questions about putting affiliate links on your author website just let me know and I’ll be more than happy to help you in any way that I can. Wishing you all the best success! Copyright © Galadriel Grace 2019. All Rights Reserved.